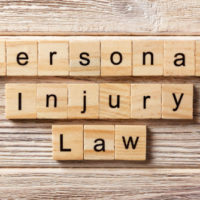 It is not uncommon for injured parties who seek legal representation to be rejected by the first, second, or even third personal injury attorney whom they interview. If this happens to you, do not be discouraged. Just as you are evaluating lawyers to find the one that is right for you, so too are they evaluating your case’s potential, the cost of representing you, and, most importantly, their ability to represent you. If you were involved in an accident and wish to pursue a personal injury claim, research ahead of time which factors are important to lawyers and try to view your case potential through the eyes of the those who may or may not decline to work with you. Liability: First and foremost, we will determine whether or not another party can and should be held liable for your accident. If we cannot find fault with another person or entity, we will decline your case. Damages: Next, we will review damages. Are there any and, if so, are there enough? Damages include but are not limited to medical expenses, lost wages, property damage, loss of earning potential, mental anguish, and pain and suffering, just to name a few. Bear in mind that most personal injury attorneys work on a contingency fee basis, which means that they only get paid a percentage of what victims recover. If estimated damages are not sufficient enough to result in a fee that is worth an attorney’s while, he or she may reject your case. Defendant Resources: Unfortunately, an accident victim may only recover compensation if there is a relevant third party that can pay the damages. If the defendant has minimal to no resources to pay the claim, or if a private party does not have insurance coverage, there is simply no money to be won. This is true even if the claimant deserves compensation. Expenses of the Case: Again, it is important to bear in mind that most personal injury lawyers operate on a contingency fee basis. When an attorney takes on a case, he or she does so with the hope that he or she will be reimbursed for all the time and costs he or she fronted to represent the client. If a lawyer anticipates that the costs will be too high and the recovery minimal, he or she may reject the case. Statute of Limitations Has Expired: A person has four years to file a personal injury claim in Florida. If a victim allows that timeframe to lapse, he or she forfeits the opportunity for recovery, even if the case is a viable one. Unique Issue: Not all personal injury law firms handle all types of personal injury cases. Some attorneys focus on car accidents, while others have experience in medical malpractice. If a lawyer does not have experience in handling your unique type of case, he or she will reject it. Poor Rapport: When there is lack of rapport between attorney and client, it can be difficult for the lawyer to do his or her job effectively, no matter how great the case is. If a lawyer does not feel as if he or she vibes well with you, he or she will politely decline your case. Just as you have the right to decline to work with an attorney, so too does an attorney have the right to reject your case. That said, if a lawyer or two does reject your case, do not be discouraged. It may simply be because that professional does not have the time, resources, or experience necessary to deal with your particular issue. For a free and honest assessment of your case, contact Spencer Morgan Law in Miami today.